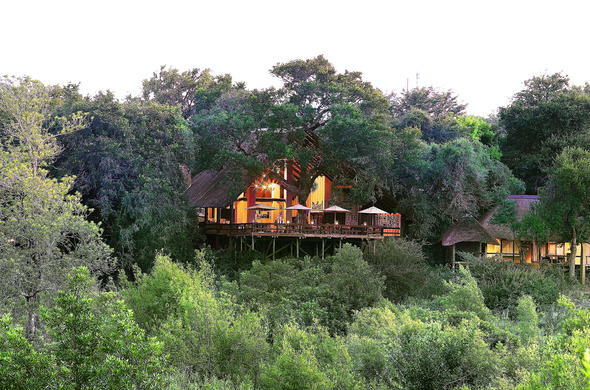 Londolozi Varty Camp has a rich heritage and has been owned by the same family for over 70 years. Londolozi means 'Protector of all living things'. This safari lodge in South Africa has a rich heritage and has been owned by the same family for over 70 years. This safari lodge in South Africa is also famous for its spectacular Leopard sightings. This South African safari lodge boasts the most magnificent views of the Sand River. Its 4 rondavels dates back to the original Sparta Hunting camp. One of these rondavels has been turned into a traditional bedroom and the others are now a museum, a well stocked wine cellar and an Internet centre. This South Africa lodging also offers a refreshing swimming pool and a curio shop/gallery. Children are welcome at this South Africa lodge. Children 5 years and under cannot participate in game drives. Child minders are available at an additional cost. Children aged 6-11 years are allowed on game drives at the lodge manager's discretion.